Evangelion Anima has been around for some time now and I never thought I’d see one of the Eva’s change so much! I’ve no idea whats it about (3 years later) in the world of Evangelion. 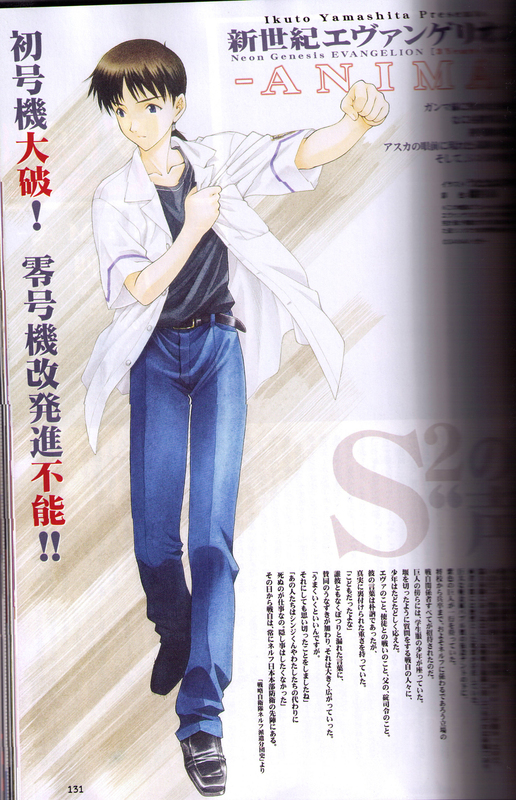 But, heres some poor scans I’ve got from Dengeki Hobby Magazine. Warning: The images are large! (I’ll get a Cam and take shots instead and update this later, mean while, you’ll have to suffer the poor scans ^^). First horrible Scan: Shinji Ikari illustration. Seems like he is going for a Kaji look. Angel Carrier: Freaky looking one. Illustration: Eva Unit 00 with a terrifying gun. Awesome illustration. What. Is. This?! 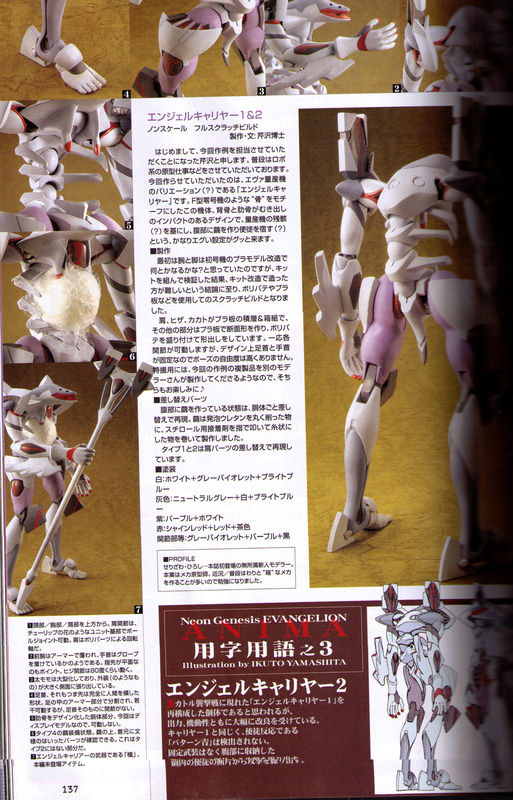 Some kind of mass produced eva unit, for carrying Angels?! It sure looks freaking. And those toes! The tail! Its mouth! Is this from the EVA 2.0 movie? Its a different story, not the next movie (2.0). From what I read on the Trivial Forums, its a Novel. I can say that its 3 years after the TV series (I presume this because it says “3 Years After” in the title).